Pramuka is the main island in the Thousand Islands cluster (Kepulauan Seribu) in Jakarta, Indonesia. Many travellers go to Pramuka Island first before island hopping because the accommodations, equipment, restaurants, supplies, and other facilities are easily accessible on this island. You can find many lodgings, homestays and hostels for budget travellers. The Pramuka Island is very close to Jakarta, the capital of Indonesia. Ramadian Bachtiar, Beginer Subhan, Hawis Madduppa, and Dolorosa M. Bria are marine biology students who participated in the second International Biorock Workshop held in Pemuteran. 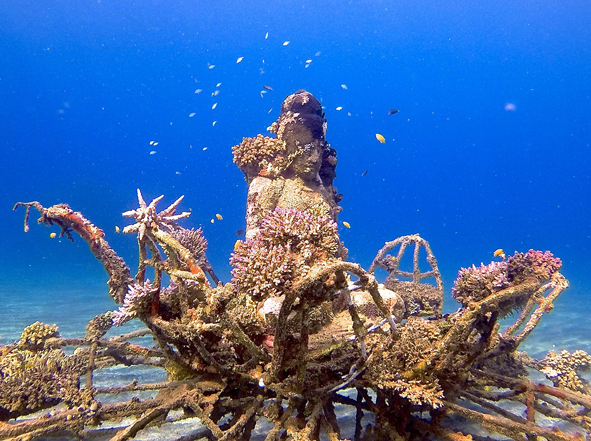 They were concerned that there was no direct application of Biorock in Seribu Islands and believed that the method could restore the corals effectively. The group is conducting a research study for Biorock application in Pramuka Island. They collaborated with Beach Floating Restaurant to support the electrical requirement of the project. 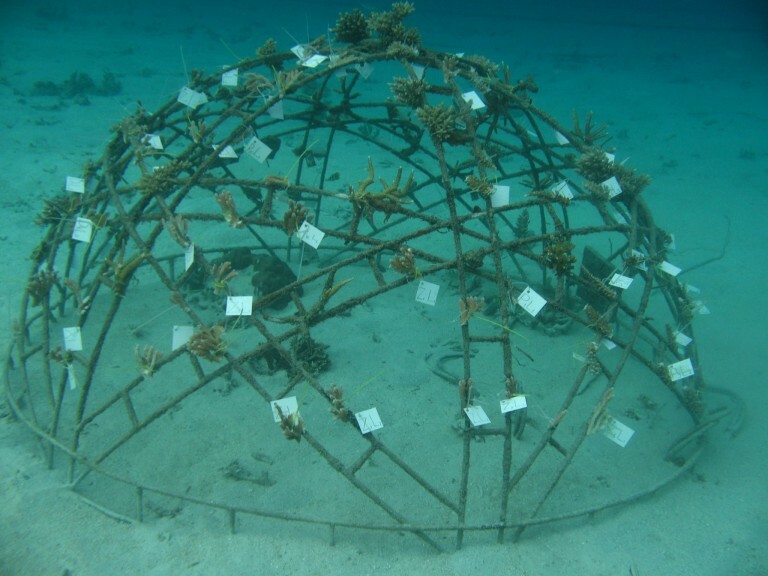 They have already gathered a lot of data including coral growth, coral survivals and biodiversity. 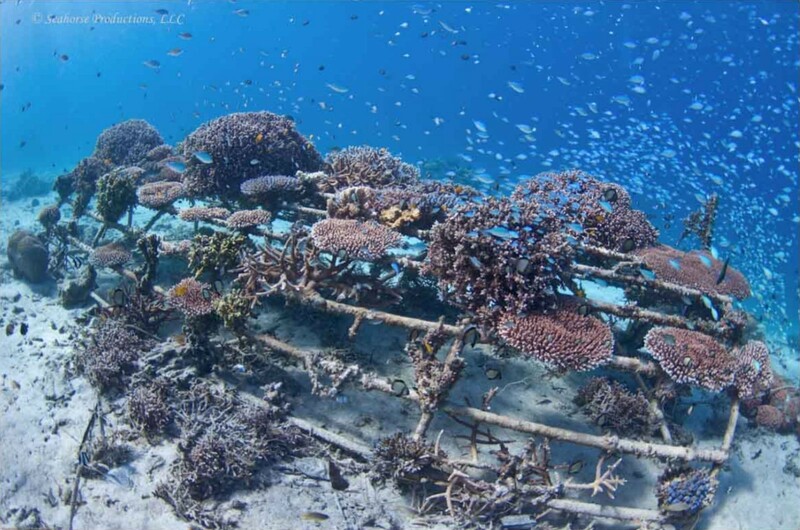 This data shows that the using Biorock technology can effectively restore the coral reef in Pramuka Island. The experiment was done for one year. However, the restaurant continued to provide electricity for a few more years. 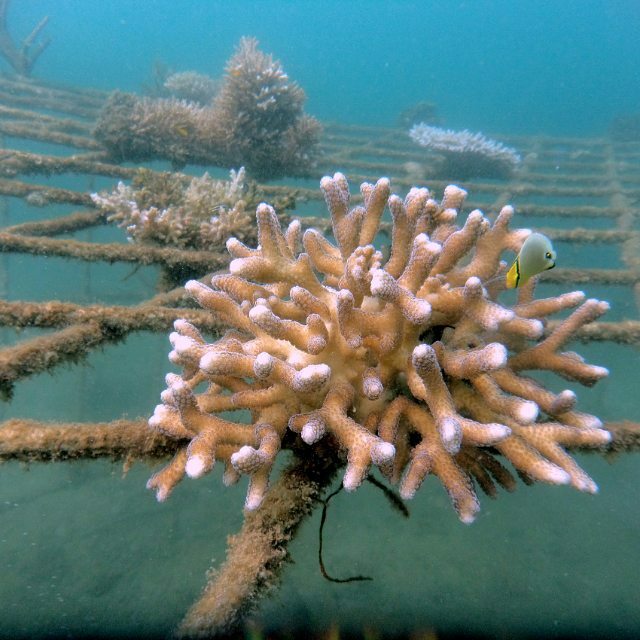 The Biorock structure has successfully grown corals by imitating the natural reef, and still thriving although the electricity has no longer been supplied for the last few years. 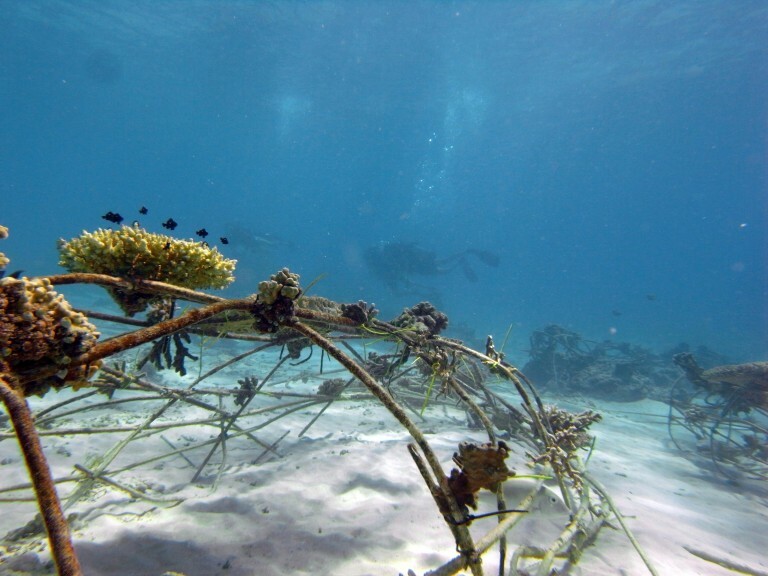 It is important to bring this successful pilot project to a full scale coral restoration in this island by collaborating with all stakeholders to ensure optimum growth .